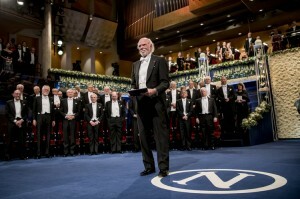 At the Nobel Awards earlier this week. © Nobel Media AB 2017. Photo: Alexander Mahmoud. Our colleague, Barry Barish, shared the 2017 Nobel Prize with Rainer Weiss and Kip Thorne for his leadership role in the direct detection of gravitational waves by LIGO in 2015. 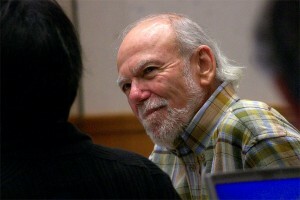 Following his leadership on LIGO from 1994 through 2005 for which the Prize was awarded, Barry led the ILC community as Director of the Global Design Effort, producing the Technical Design Report in 2013. The road to direct detection of gravitational waves was a long one. Beginning in the 1970’s, Weiss and Thorne worked on the development of the laser-based interferometer detection technique to observe gravitational waves. After two decades of development work, the concept was ready for a full-scale project by 1994, but a ramped-up effort was necessary. Barish was recruited to lead the next phase of the project. He brought to the project his experience and expertise on large scientific projects, assuming the role of Director of the LIGO Laboratory. He expanded the existing small R&D effort into a large international collaboration with the diversity of technical expertise needed to achieve the scale required to detect gravitational waves. Numerous research groups joined the effort led by Barish. His technical and scientific leadership were essential to the discoveries, and the technical realisations needed to achieve them. Gravitational waves are the ripples in the curvature of spacetime generated by massive gravitational interactions. They are extremely small, typically observed as a strain of less than one part in 1020. This means over a distance of one kilometer, the strain observed would be less than 10-17 metres, less than one per cent of the nuclear diameter. Barish planned a set of steps for LIGO, beginning with a first step dubbed Initial LIGO. Initial LIGO would consist of a full-size (4 kilometres per arm) interferometer to verify the technology, with the possibility to detect gravitational waves. The second stage, Advanced LIGO, would involve more advanced technology to achieve a sensitivity that would make the detection of gravitational waves likely. Barish created the LIGO Scientific Collaboration (LSC) in 1997, to organise the global community working on the LIGO project and science. The first stage of LIGO, conceived and started in 1994, began collecting data in 2002, and demonstrated the level of sensitivity expected. This success of Initial LIGO led to approval of stage two, Advanced LIGO. After three years of successful operation of Initial LIGO, in 2005, the International Committee on Future Accelerators recruited Barish to lead the Global Design Effort (GDE). The GDE was established to coordinate the efforts of hundreds of scientists worldwide who were working on research and development projects toward the Technical Design Report of the ILC. Barish led the GDE through the ILC preparation phase, leading to the publication of the ILC TDR in 2013. During his GDE directorship, he remained an active member of the LSC, and returned to full-time LSC participation following the publication of the ILC TDR. This coincided with the transition of the ILC effort from the GDE to the Linear Collider Collaboration, led by Lyn Evans. Barry came to the LIGO Lab directorship and then the directorship of the GDE following a track record of leading several large high-energy physics projects. He led the first high energy neutrino beam experiment at Fermilab, was a leader of the MACRO (for Monopole, Astrophysics and Cosmic Ray Observatory) experiment searching for magnetic monopoles, and led the design work for the GEM (Gamma Electron Muon) detector, one of the large detectors being planning for the Superconducting Super Collider (SSC) when it was cancelled in 1993. The demise of the SSC worked to the benefit of LIGO, freeing him up to lead the unprecedented challenges posed by the search for gravitational waves beginning in 1994.
to the discovery by his Nobel Prize. Jim Brau, Associate Director for Physics and Detectors in the Linear Collider Collaboration.